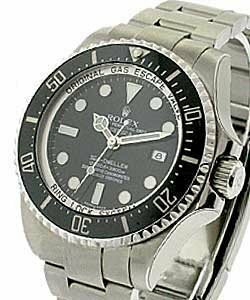 Rolex is easily the most famous high-end watch line in the world. 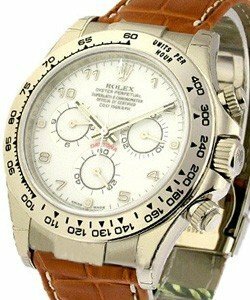 It is also the most recognizable and arguably one of the most durable watches in existence. The beginnings of the company can be traced to 1905 when Hans Wilsdorf and W Davis established their watch company called Wilsdorf and Davis. 3 years later the name was changed to Rolex. 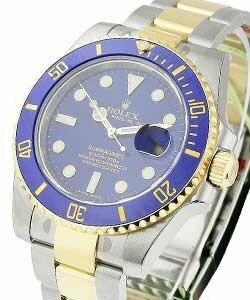 At this time, pocket watches were more popular than wristwatches but Rolex had a vision, and that vision was that one day wristwatches would far surpass pocket-watches in popularity. They were right. 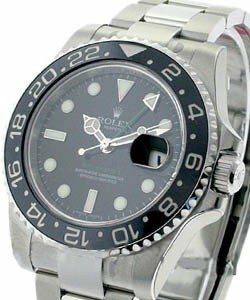 Through the years Rolex is credited with building the first truly water proof watch called the "Oyster". The first watch with an automatic date called the 'Datejust'. 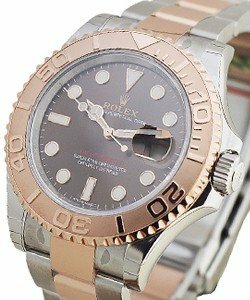 And the first diving watch resistant to 100 meters called the 'Submariner'. 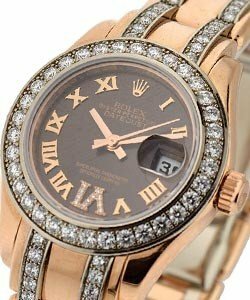 When going through the Rolex Luxury Watch line, we first must acknowledge the 'Rolex DateJust'. 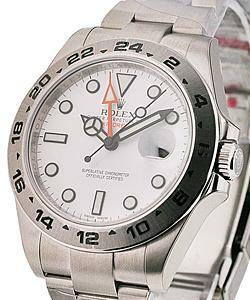 It is easily the most famous modern Rolex line; is classic, but modern, and simply comes with the time and the date. Which is all most of us really need. 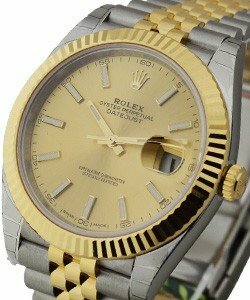 The 'Rolex Datejust' comes in sizes 26mm to ('Datejust II') 41mm, and in many different variations, from 2-tone, to diamond dialed. 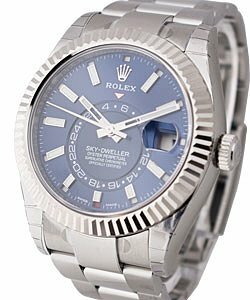 The 'Rolex DateJust' is a very good choice for those seeking a watch that will go with everything, and will last forever. As this watch comes in men's and women's sizes, it's also an ideal choice for those looking to buy a 'his & hers' set. Also check out the 'Rolex DateJust Turn-O-Graph', which is a little less simple-looking as it features a red second hand. This contrasts very well against the black or white dial, and makes the dial stand out a little more. 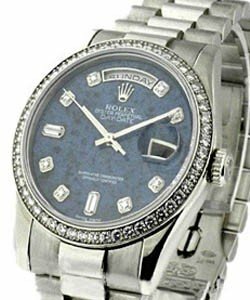 As the 'Rolex Datejust' comes in smaller (26mm) sizes, it is ideal for women, and the 'Rolex Ladies DateJust' , and 'Rolex Lady DateJust Pearlmaster' (features the thicker 'Pearlmaster' wristband ) are both extremely popular with woman of all ages, and from all backgrounds. 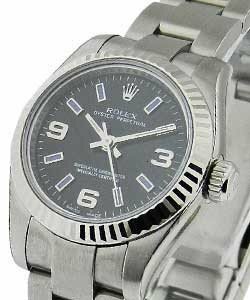 The (currently very trendy) 'Rolex Air-King' is a very clean and classic men's watch, and although easily the least expensive Rolex model, the 'Air King' is a favorite among young Hollywood. Even Hollywood's 'it girls' have made wearing the classic and cool men's 'Air King' a 'must' for those women bold enough to sport it. 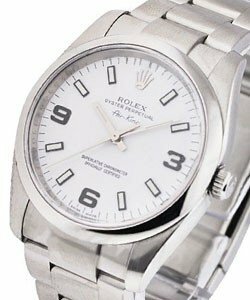 In the 'real' world the 'Air King' is a mid-sized, very versatile Rolex Watch, popular among men of all ages, the 'Air King' goes with most everything, is very wearable to formal functions, as well as being considered appropriate for the casually cool. 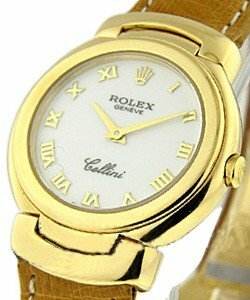 More dressy is the 'Rolex Cellini', a stylish hand wound Rolex watch, that is formal enough to wear out to any event. The 'Rolex Cellini' is classic, often-leather strapped, with no date display. Different variations of the 'Rolex Cellini' include: The platinum cased 'Rolex Cellini Cellinium' - with small second hand at 6 o'clock, and on black strap, and the 'Rolex Cellini Cestello'. The 'Rolex Cellini Cestello' is subtle but stunning with its retro-looking (think 'AMC's Mad Men') square-ish case surrounding a round dial, this dressy Rolex is for those looking for something 'a little bit different'. If stunning, but simple is key, then look no further than the 'Rolex Cellini Classic'. The 'Cellini Classic is the most stripped down, traditional 'Cellini' model; it is stylish, classic and a very handsome Rolex timepiece. For those seeking the less-traditional, the 'Rolex Cellini Danaos' - features a rounded square case and bold design, and is suited to men who prefer a slightly contemporary look. The 'Rolex Cellini Cestello' isn't the only retro-inspired Rolex watch. 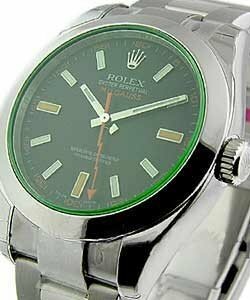 The rare and handsome 'Rolex Oyster Perpetual Milgauss men's watch'(Rolex model: 116400) is a retro-inspired, classic collectible, that's been added to trend-spotting 'must-have' lists all over. A favorite with those nostalgic for classic Americana of the 1950's and 1960's, the 'Rolex Milgauss' (Rolex model: 116400 GV) is unique in that it has a green crystal, over a black dial with orange hour markers, and an orange lightning bolt second hand. Featuring a 40mm Stainless Steel Case & Oyster Bracelet, the Rolex Oyster Perpetual Milgauss Mens watch model: 116400-V' is the most desired of all the 'Rolex Milgaus' watches. 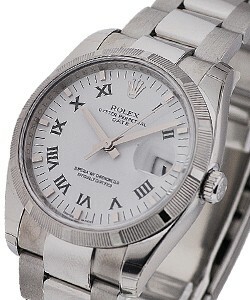 The 'Rolex Miguass' is also avail with white and black dial, behind a classic non-colored clear crystal.